Flash: To overwrite your phones existing software with another. Rom: Firmware for your phone. 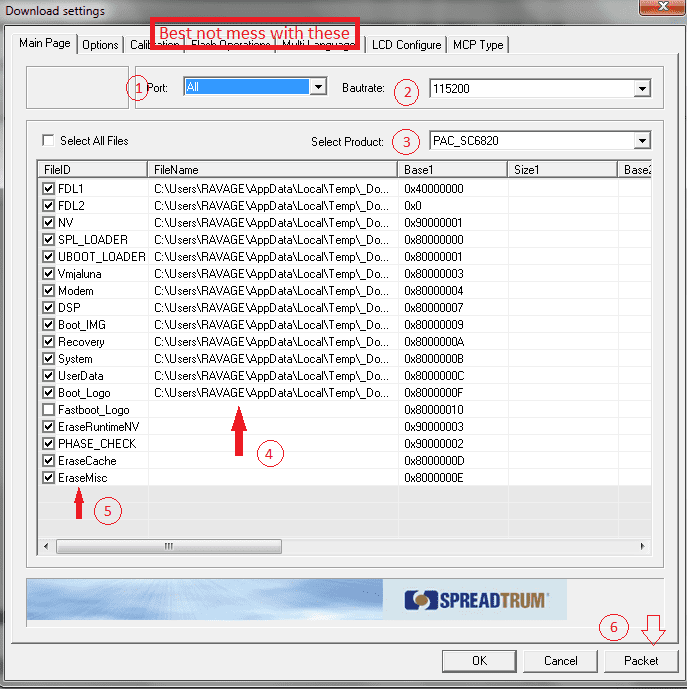 .pac file: File in which research download uses. Before this it is important to have the VCOM drivers for you phone installed on your computer. from the phones manufacture. The browse menu can only open .pac files. 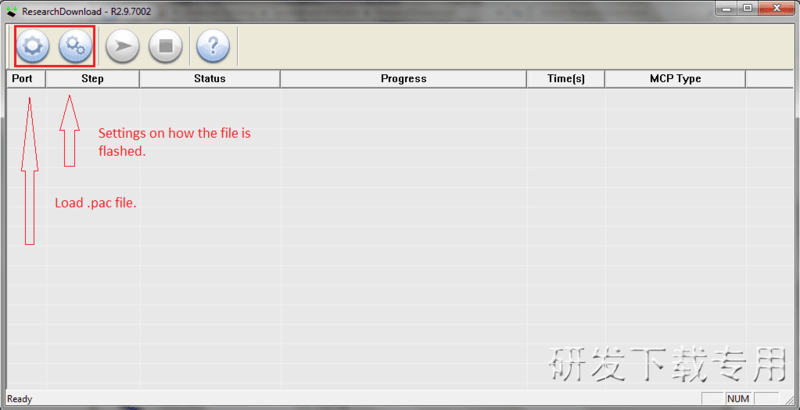 Once the file is loaded you can tell, you will be able to see the name on the bar (as shown). Next press the second gear to open up the settings menu. 2. Bautrate. Leave this at 115200 unless your phone manufacture said otherwise. This works for the SC6820. 3. 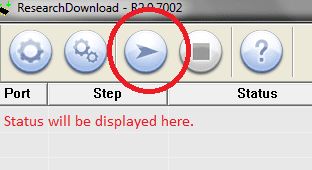 This will be automatically selected once you load the .pac file. 4. Where all the files are stored. You can actually extract these once you load a .pac file hehe 😛 . 5. Name of Each file. If its ticked it will be flashed. You can untick things you don’t want to be flashed. 6. 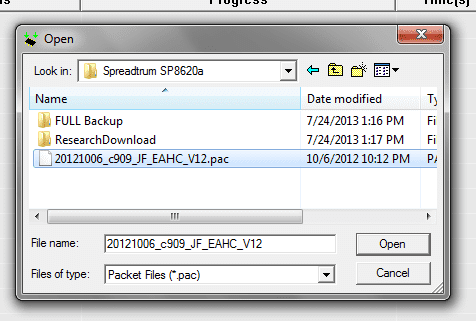 This is just if your going to build a .pac file from parts, don’t worry about it that’s a whole other thing. Once your don’t editing the settings you can go ahead and press Ok.
After your done press the arrow like button. This will start the process and have it ready for your phone.